“If there’s an error on a payslip, or someone has more tax deducted than they expected, people get understandably anxious. My job is to make sure that mistakes don’t happen – and to put them right as quickly and as painlessly as possible on the rare occasions they do. In fact, you quickly realise that payroll administration isn’t just about numbers. 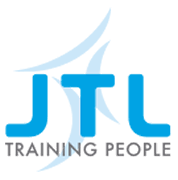 It’s about working hard to maintain the efficiency of the business and look after the welfare and interests of everyone at JTL. That takes good interpersonal and communication skills as much as numerical skills and attention to detail. One thing I like here is the amount of contact we have with other parts of the business. For example, we sit down with the HR team once a month to discuss any changes of circumstance affecting our employees. Sometimes that means having to update information on the payroll system or change payroll codes. Very occasionally, it gives you the chance to help an employee get a tax refund – which is always nice! There are some quite demanding technical dimensions to the job, of course. We need to keep the company on the right side of HMRC regulations, and on any given day I could be updating a spreadsheet or liaising with banks to make sure that our pension scheme is being properly managed. Every member of our team has access to the training they need..